No Scotty, it does not mean a one way trip through the transporter. It does mean small pieces of meat: ground beef, flaked fish, pulled pork, etc. Egg is not a good idea because the tannin will curdle the protein. Small pieces maximizes the protein surface for tannin bonding. I cook collards 30-45 minutes and kale 45-60 minutes. Any longer and the lutein and zeaxanthin will be greatly reduced. Last edited by Artemesia on Wed Oct 31, 2012 4:11 pm, edited 2 times in total. Jeez... sounds like what gumbo said "cooking to oblivion." I don't have much experience with collards, but I stir fry kale with garlic and onions for like 5 minutes, just so it is wilted. Stir fry the garlic and onions first until the onions are soft and translucent and then add the roughly chopped kale for the last few minutes. I was first introduced to kale in a signature salad at a health food store lunch counter. I love that salad so much and now that I've moved away from the area I tried to replicate it as best I could. This is still my favorite way to eat kale. The kale salad is combined with cooked brown rice, whole roasted and raw almonds, carrot matchsticks, red onion slices, and topped with alfalfa sprouts. The kale looks slightly wilted. I find that the appearance and texture can be achieved by tossing the kale torn into pieces with freshly cooked brown rice and the dressing (fresh lemon juice, apple cider vinegar and EVOO are major components), then adding the remaining ingredients. There are more than one kale variety/species. Now that I say that, I'll admit that I know next to nothing about it. Even tho' . . . I've been growing Scotch kale for quite a few years again. 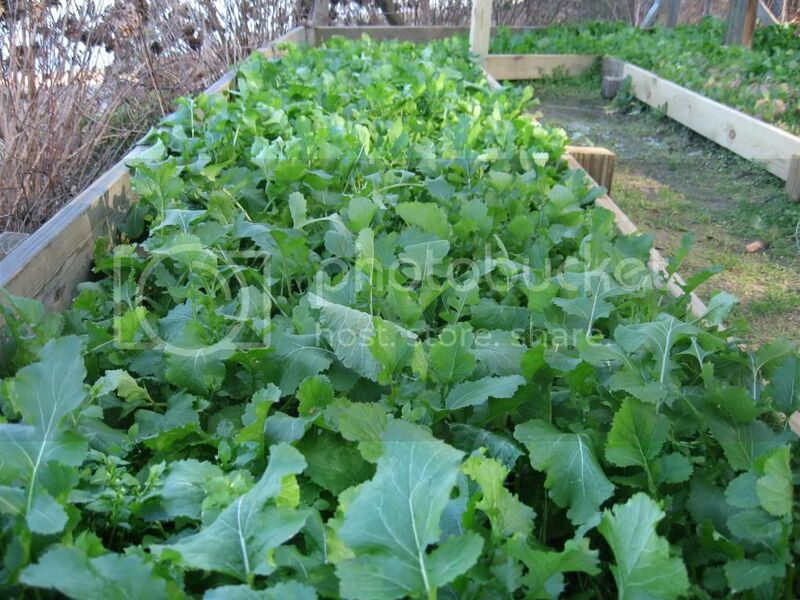 What I haven't done, is grow Russian kale. Since I've never bothered to grow nor buy Russian kale, I don't know if it is more suitable for short cooking times or in a salad. I didn't even know that there was a genetic difference, just one of appearance. 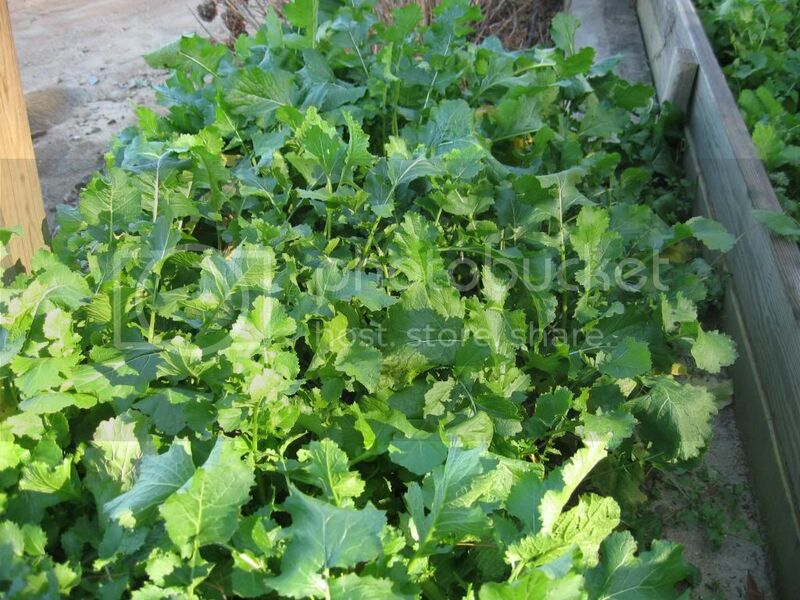 Scotch kale is Brassica oleracea. That is the same species as cabbage and collards. I grew Portuguese kale this year and loved it! I'm still not sure how closely related it is to collards. 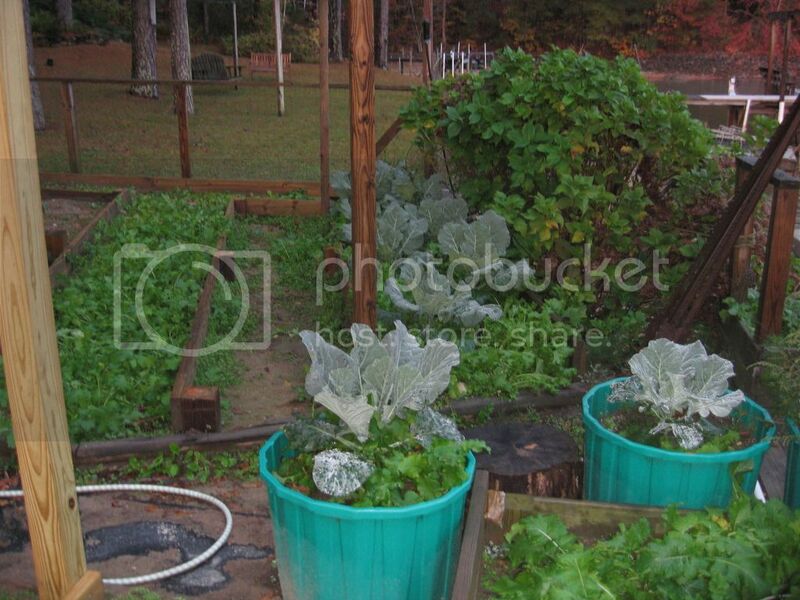 My idea/experience was that collards wasn't a good choice in my garden. The Portuguese kale did fine . . . but, I didn't think to try it raw . . .
rainbowgardener wrote: Jeez... sounds like what gumbo said "cooking to oblivion." I don't have much experience with collards, but I stir fry kale with garlic and onions for like 5 minutes, just so it is wilted. Try it in chicken noodle soup. I have been doing that for several years now and it is great in it. I simply put it in the same time I put in the pasta, turn the fire off and let it soak in the hot broth. The pasta cooks and the kale wilts a bit but retains a good bit of its texture. It adds a little substance to an otherwise fairly thin soup. Put some in your smoothies. Cooking time all depends on maturity and processing. I prefer to allow my greens to fully mature and get a little frost. That makes them more nutritious and taste better. Unfortunately they can be like chewing rubber. When I was young and not worried about their goitrogenic effects, I ate them raw. Now I cook them. A full pot takes 30-45 minutes to heat to the center. A small pot much less. When I dry them they need even less to reconstitute, but they do need to steep awhile. Red Russian kale, the only kind I've grown, cooks well with about 15 to 20 minutes of...poaching? sautÃƒÂ©ing? self-steaming after a sautÃƒÂ©? All or any of these. When I make udon, I do the "bring to a boil three times, add a half cup of water each time, let it stand for 15 to 20 minutes after the last time with the lid on" method for the udon. But! I prepare chopped kale / chard / spinach / something green along with other at-hand veggies. I layer them on top of the water, gently submerge them with a wooden spoon until the water is *just* over them, then put the lid back on the pot. 15 to 20 minutes later, I have udon with veggies. And it is GOOD STUFF. The "greens" are growing. We have had some nights into the low 40s so it won't be long before they will be at their best. 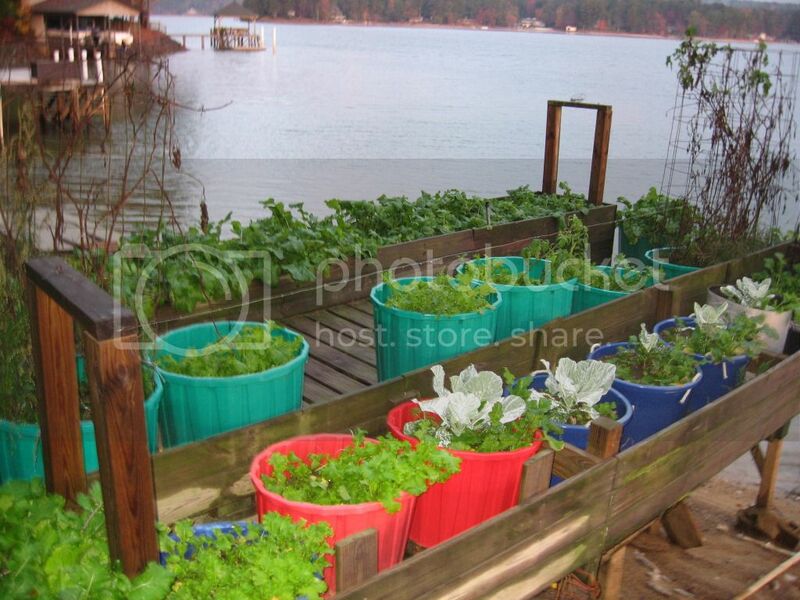 Here are updated pictures of collard greens, curly leaf mustard, and purple top turnips. Sorry, I took picture early this AM and the flash sorta washed out the green of the collards. Love greens - my faves are mustard and beet greens. G really likes collards. 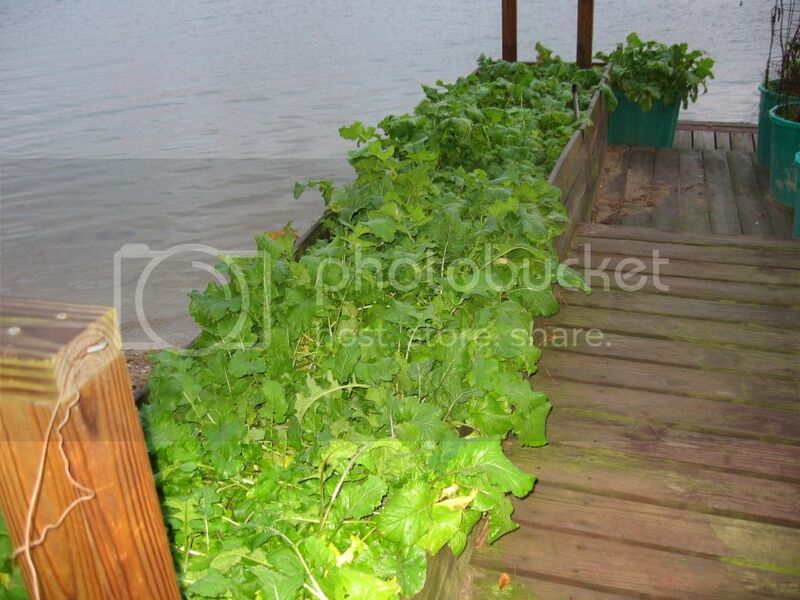 He cooks them only in the water on the leaves from rinsing with taso and sauteed onions. 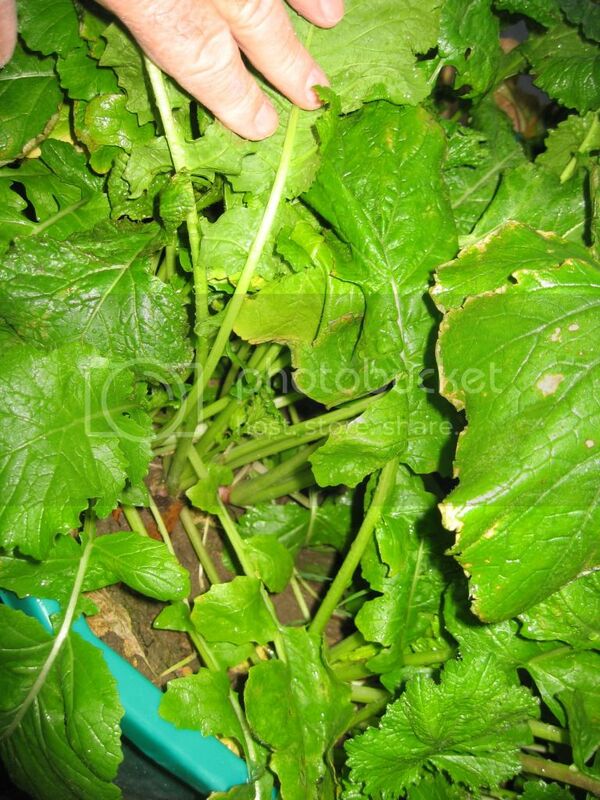 I like mustard and turnip greens when young. The do get bitter with age. Beet greens are to die for! Cook with only the rinse water on the leaves with butter and a little salt. Sweet, tender almost buttery texture. A much over looked delicacy. I am such a pig for beet greens that I really have to cook a lot just to get some to the table. 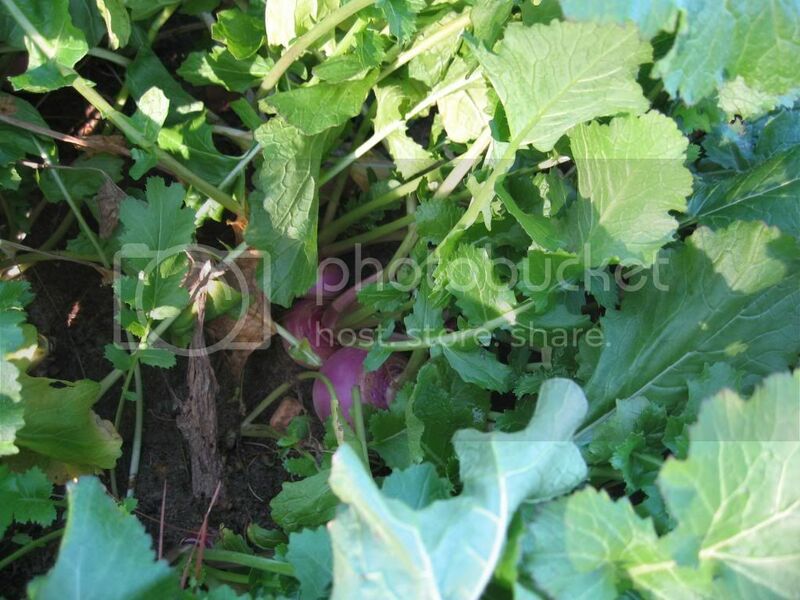 The bonus from beet and turnip greens are the lovely roots. As a kid I hated beets - Mom was serving canned beets and I could not stand them. Fresh beets are unbelievably good. Interesting, I have never tried beet greens. Have never grown beets. Are they grown in fall/winter like turnips? Beets are a cold season plant, like swiss chard. In fact it is swiss chard, the same species, just some cultivars are specialized for roots and some for leaves. I don't grow beets because my partner will not eat them. I would grow them for the greens except it is redundant because I have lots of chard. In warm climates I think you would plant beets in Sept for a fall-winter crop or February for a spring crop. Collards are usually grown in the south and can handle more heat. Kale is grown in the north and tastes sweeter after a frost. I live in Hawaii and I do grow both. It is funny my northern friends don't know what collards are and my southern friends don't know what to do with kale. I asked them for recipes and found that they are cooked just about the same way with smoked turkey or pork, spices and beans. Collards have a stronger cabbage taste and Kale can be a little bitter (no frost here) especially if the leaves are older. How do you cook your turnips? I planted purple tops but they tasted bitter like radish, I did not like them much. 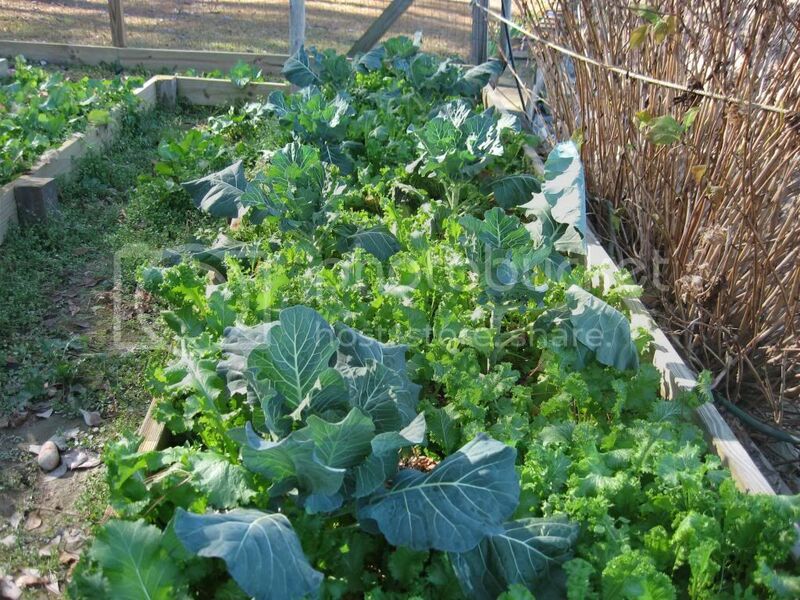 I usually plant Asian greens, because that is what I know how to use in stir fries and soup. Daikon, baby bok, choi sum, tat tsoi,Napa cabbage, gai lan. Kin tsai (cutting celery), okame, and Gai choi. In the cooler months I plant them in the sun(Sept-Mar). The rest of the time I plant them under my citrus trees or where they will get afternoon shade, otherwise they bolt. Love your pictures you really have a "greens" thumb.